Are you ready to get some hands-on experience with blockchain tech? Join this workshop, hosted by the Blockchain Mérida community and sponsored by Toptal, on March 30 from 10:00am to 2:00pm. In this workshop, you’ll create and launch a private blockchain using Hyperledger Fabric. It’s a great opportunity to build your skills or try something new. Feel free to invite your contacts who may be interested. 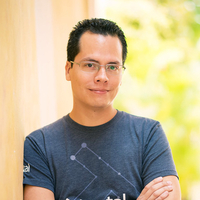 Greco Rubio, a Toptal developer and Community Leader, will be onsite. Feel free to connect with him if you have any questions about Toptal. You’re also invited to join Ethereum: A Public Blockchain on April 6 to get more experience and learn the differences between private and public blockchains.